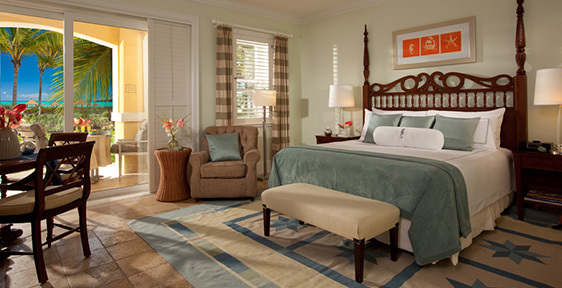 Voted Sandals Resorts “Caribbean's Leading Hotel Brand” 22 years in a row. 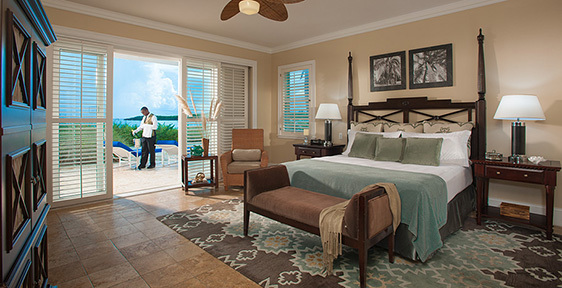 Voted Sandals Emerald Bay “Caribbean's Leading Conference Hotel” for the 2nd time. The culinary experience at Sandals Emerald Bay is unrivaled in the Caribbean, celebrating epicurean treasures from the renowned hills of Tuscany to the delectable bounty of the sea. Whether you crave an evening of sophisticated gastronomy, the barefoot elegance of oceanside dining, a refined afternoon tea, or a lively night at an authentic English pub, seven unique venues offer the cuisine and ambience to suit every mood and whim. With views of Exuma‘s stunning Emerald Bay, this two-level open concept restaurant offers a comprehensive buffet breakfast featuring delicious made-to-order omelets and refreshing smoothies. At lunch, indulge in an impressive culinary variety, from Asian to continental, that changes every day. 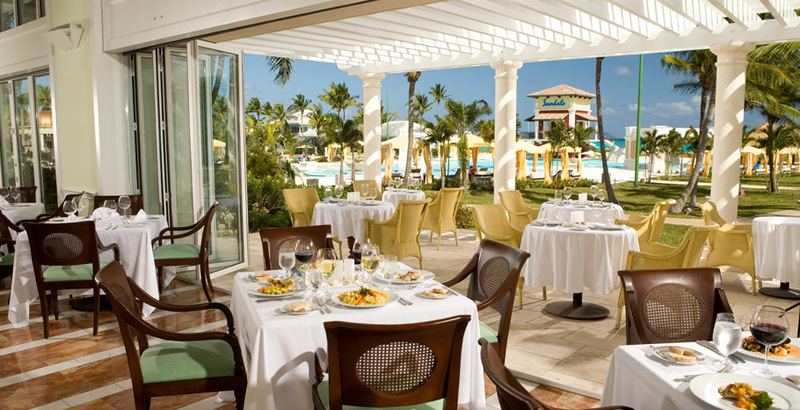 For dinner, the chefs at Bahama Bay lay out a spectacular feast of the finest Bahamian and Caribbean cuisine. Set on a spectacular location on the soft white sands of one of the Caribbean's best beaches, Barefoot by the Sea's charm and ambience is unmatched. Here, you'll dine on the freshest seafood fare. Enjoy their luxury café where you can satisfy your sweet tooth. Bite into crisp gourmet pizzas, expertly prepared in their wood-fired oven and laden with your choice of delectable toppings, from savory prosciutto with roasted red pepper to sweet banana with gorgonzola. The “sky” (as its name implies) is certainly the limit when it comes to the genuine Italian experience evident in every delicious dish. The charming atmosphere, along with every dish, emanates the Italian's warm-hearted philosophy of life and food. Set in a modern French Restaurant featuring a progressive French menu and white glove service that rival any of the fine restaurants located on Paris' storied Left Bank. La Parisienne means “The Parisian Girl” and indulges you with the finest cuisine from the region. Eat indoors, or outside on the terrasse, surrounded by lush tropical greenery. At sea or on land, at Sandals Emerald Bay we'll match your inclination for adventure as often as you wish, because an array of exciting Bahamas activities is included in your vacation — even unlimited scuba diving in waters renowned for being among the world's most spectacular. Swim, sail, snorkel, or just relax by the pool. Do some yoga, Pilates or get in a workout at the state-of-the-art fitness center or hit court for a game of tennis. You really can do it all, because it's all included. Sandals Emerald Bay features a Greg Norman-designed 7,200-yard, par 72 championship golf course that rivals any oceanside course in the world. Norman created not one, but six signature holes hugging the perimeter of Emerald Bay's scenic peninsula. Unlimited Free Golf is available for Butler guests only. 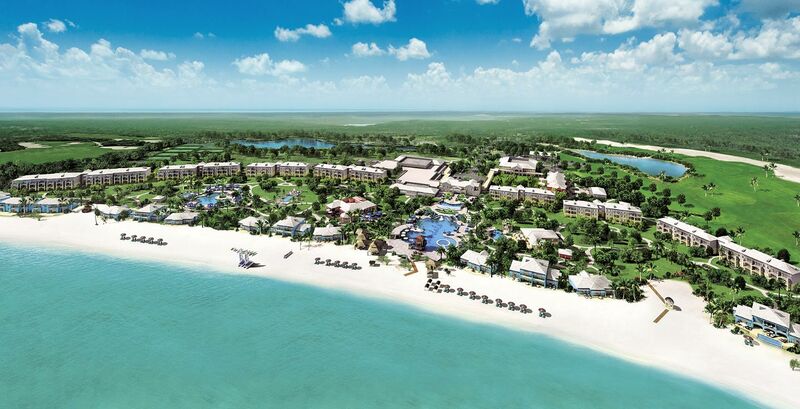 Caribbean-inspired spa treatments using regional natural products are available at the 29,000 sq. 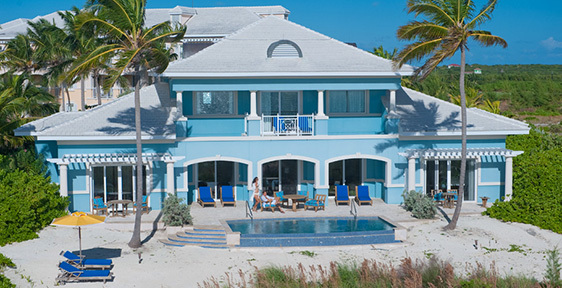 ft. exclusive Red Lane® Spa at Sandals Emerald Bay. A tranquil sanctuary, the Spa offers 17 treatment rooms, a fitness center, beauty salon, a Yoga-Pilates studio, steam room, plunge pools and several intimate relaxation areas in secluded gardens.